Mid-November 2018 Check-In – Nigorimasen! 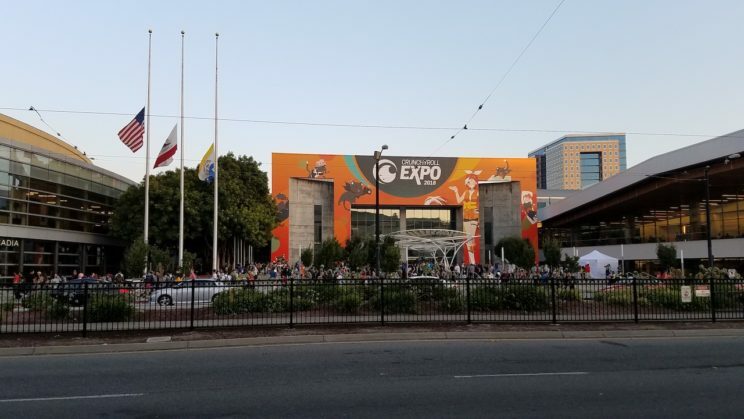 I also attended Crunchyroll Expo in San Jose during Labor Day weekend and had a good time re-connecting with friends and making a few new ones. I made a Twitter moment that you can scroll through with pictures from that weekend. I’m currently watching two new fall anime series adapted from manga – Ms. vampire who lives in my neighborhood and Skull-face Bookseller Honda-san. Ms. vampire features Sophie, a three-centuries-old vampire, and her new friend Akari, a middle school girl who moves in with Sophie to spend more time with her. The series has a similar cute-girls-doing-stuff, slice-of-life pacing as Kiniro Mosaic and like that series, Akari has an attraction toward Sophie in almost the same way Shinobu has an attraction to Alice, Karen, and other people with blond hair. Its opening theme song is titled “†吸tie Ladies†”, which is a play on a Japanese word for vampire (吸血鬼, kyuuketsuki) and the word “cutie”. 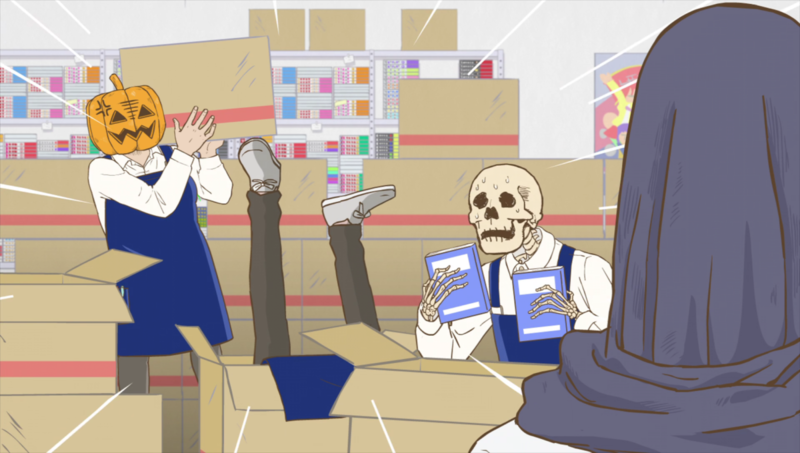 Honda-san is a charming workplace comedy about the manga, comics & novels section of a bookstore and the stresses its non-standard-head workers sometimes face, including dealing with customer requests, making recommendations, and keeping copies of popular series in stock. Many actual publishers and series are referenced in slightly obscured ways. The opening theme (“ISBN ~Inner Sound & Book’s Narrative~”) is catchy and energetic to match the series’ manic moments and the ending theme (“Book-end, Happy-end.”) is a calming tune that’s accompanied by scenes of Honda-san leaving work and going to bed. Lastly, Anime Feminist will be launching an Indiegogo campaign on December 1st to fund many upgrades to their operations! Please read Amelia’s post for more details about what the funds will be raised to accomplish. I’ve supported AniFem through Patreon for more than a year and would like them to continue to grow their operation and to facilitate thoughtful discussions about Japanese pop culture and marginalized voices. Tagged Anime, Anime Feminist, Aquarion, conventions, Crunchyroll Expo 2018, Ms. vampire who lives in my neighborhood, Ouran High School Host Club, Skull-face Bookseller Honda-san. « Should I Kiss Your “Bubu”?